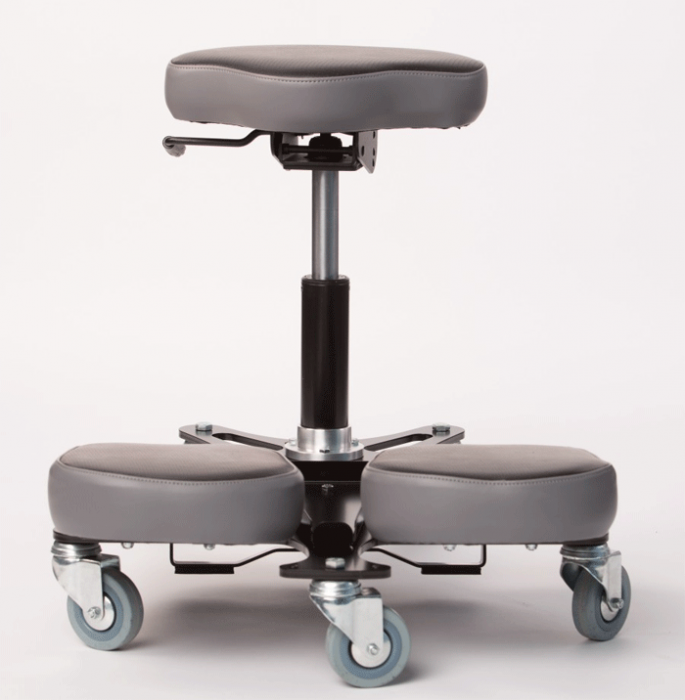 Stag4 allows three ergonomic positions for work at different heights. 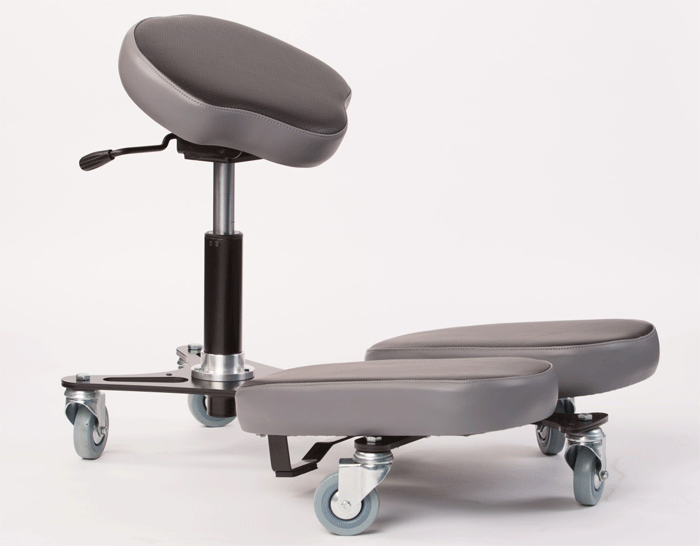 This chair is ideal for completing tasks in a kneeling position or close to the ground and relieves the feeling of pressure on the ankles, knees and back. 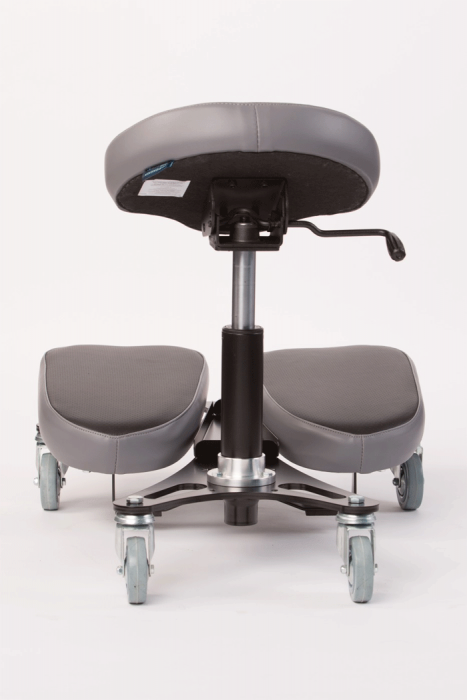 * Seat height of product may vary depending on parts and accessories included. Synetik design guarantees all of their products against manufacturing defects for a period of ten (10) years from the date of purchase. 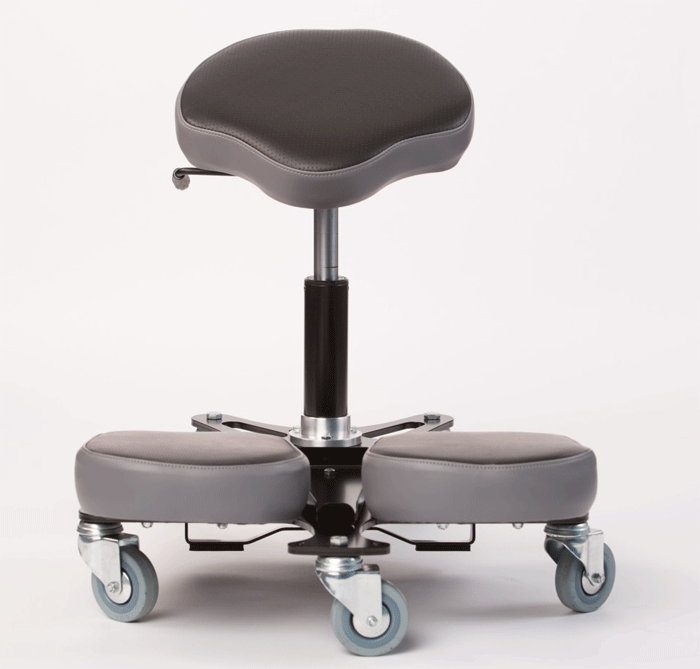 Stools frames pneumatic cylinders and all fixed parts on our stools are guaranteed for life. Any moving mechanical parts are covered for ten (10) years. 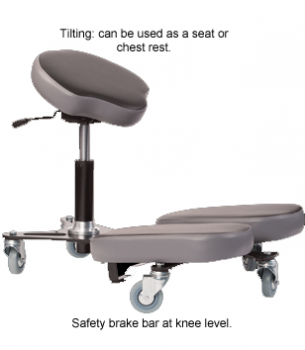 This guarantee does not apply to products requiring replacement due to normal wear, negligence, obvious abuse, or any damage caused in transport or due to misuse of the product as per included instructions and warnings. Synetik design offers no other guarantee against wear other than for the applications specified within this document. Synetik design will not be held responsible at any time for any damages and/or interest, direct or indirect losses, incidental, consequential, repeated and/or exemplary losses or damages. This Warranty applies to normal use, meaning a standard eight (8) hour day, and for a maximum user weight of 350lbs. During the warranty period, Synetik design will repair or replace any product covered by the warranty, if found to be defective or not in accordance with production standards. All warranty must be made at the point of sale.